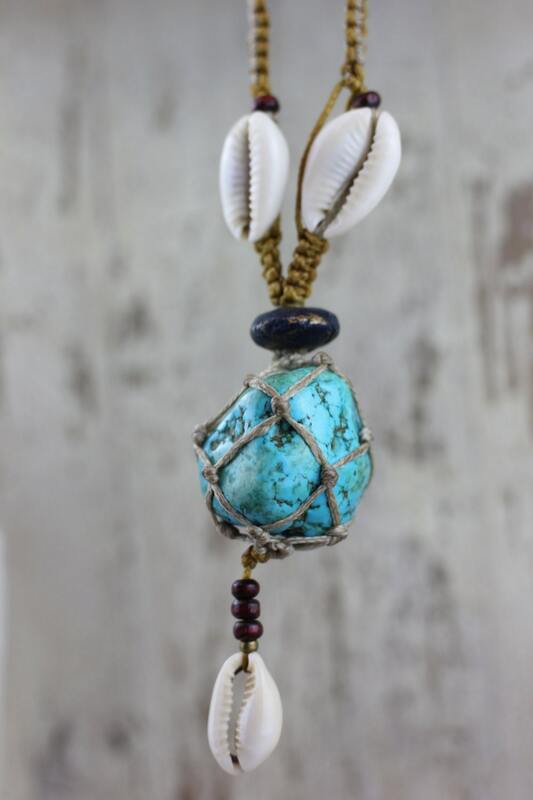 Beautiful handmade macrame necklace with wrapped Turquoise stone, earth toned wrapping and beautiful shell details. 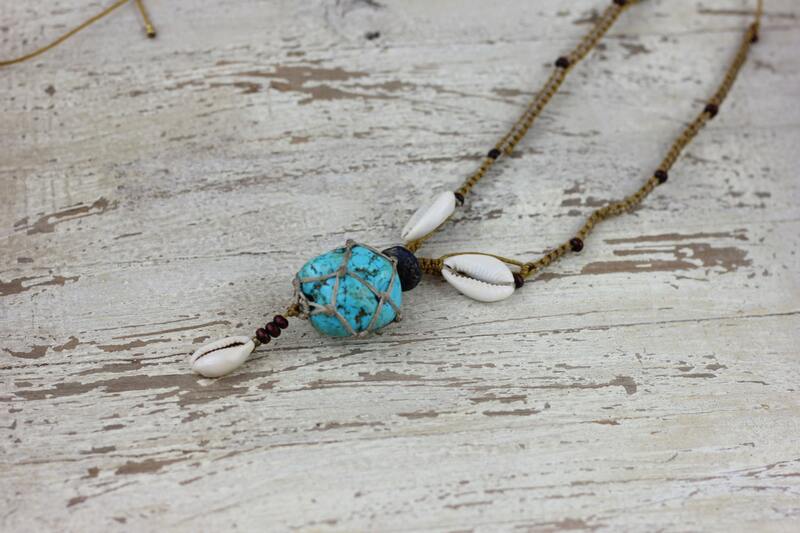 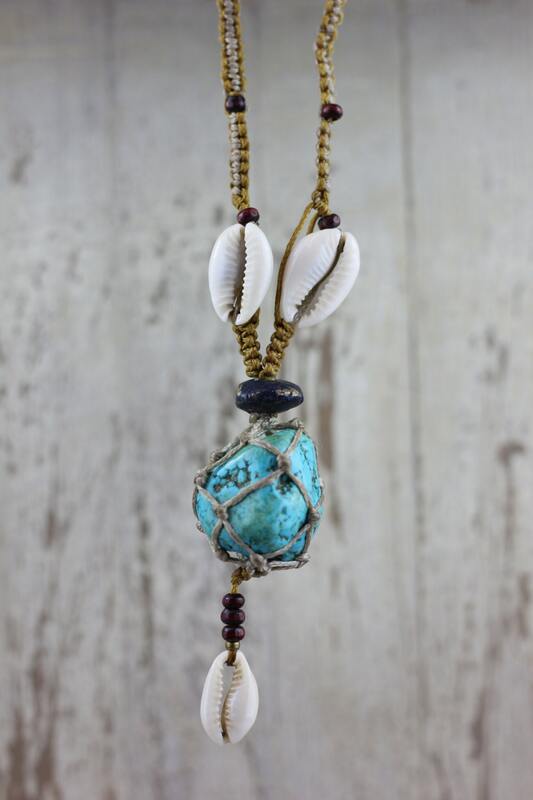 This necklace is effortlessly beautiful, with a definite surf style and down to earth bohemian nature. 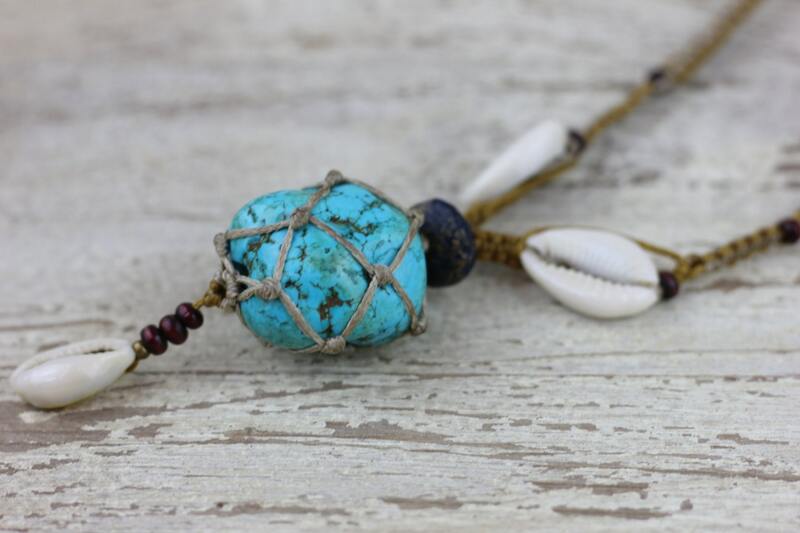 Turquoise is associated with the throat chakra and believed to be a powerful crystal for relieving stress.